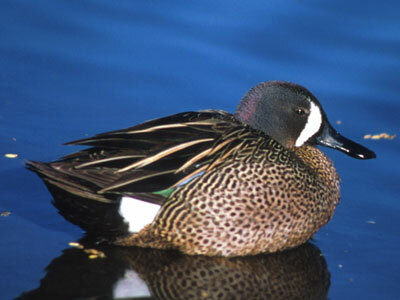 The blue-winged teal is one of several dabbling ducks that winter in the Chesapeake Bay watershed. Blue-winged teal prefer small bodies of water, especially ponds, coves, and secluded creeks. Like other dabblers, this duck is sometimes found together with its relatives, including the similar sized green-winged teal.